When Taylor Swift failed to show up to the VMAs on Sunday, rumours starting flying that the singer was avoiding a run in not only with ex-boyfriend Calvin Harris, but also with Kim and Kanye West after their recent feud. But it turns out that he absence was down to a very different reason – Taylor was in court. being groped by a DJ in 2013. 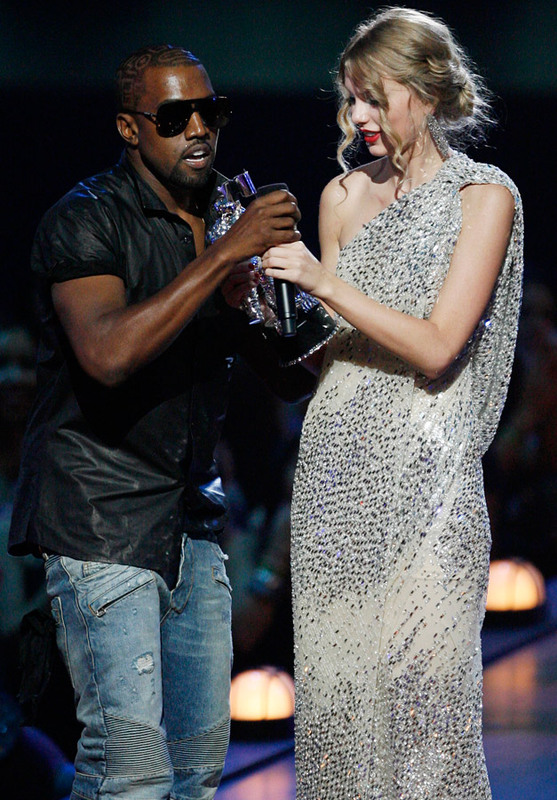 Despite her absence, Taylor was still on everyone’s minds at the VMAs. Her name was noticeably absent from Calvin Harris’s acceptance speech when he won a VMA for best male video, despite the pair having dated for 15 months before separating. He then went on later to explicitly talk about their ongoing feud after his wife, Kim Kardashian outed Taylor for lying about her consent to name-check her in his song ‘Famous’.